I recently completed a small kitbashing / detailing project over the Christmas period. This project distracted me from the Winter Challenge, of working on my layout, but hope now that I finished this one, to continue on that shortly. More track needs to be ordered before I can do so however, anyhow, back to this project. 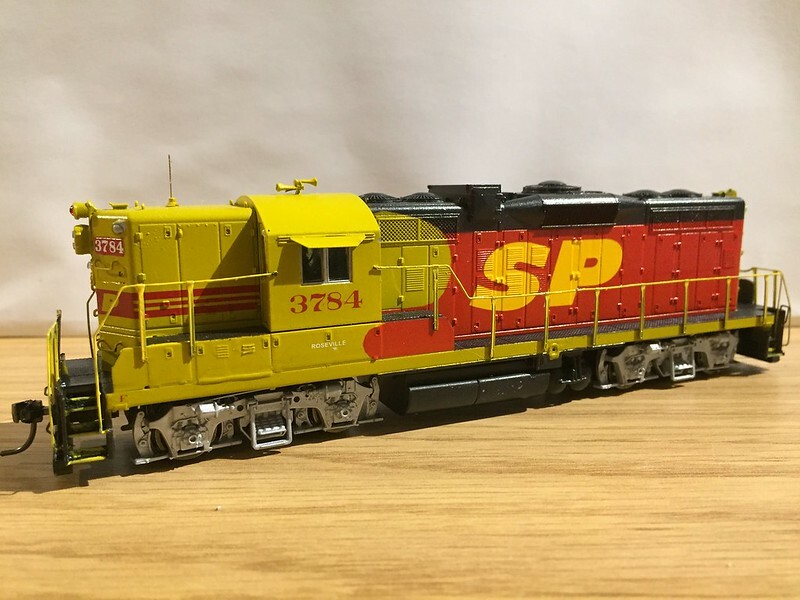 Starting out with an old Lifelike Proto2000 GP9 in black widow paint, I stripped the original shell, made some modifications and added detail parts, and painted it in the 'famous' Kodachrome paintscheme, using Vallejo acrylic paints. I am still awaiting a few other detailparts (wind deflector/mirrors) and need to do some weathering still, but here is where it stands as of this week. Hi Koos, nice distraction! I would have included it in the Winter Challenge as well as your layout rebuild - I'm assuming we're not limited to one entry? Was the paintwork done with an air brush or by brush or both? Either way the finish looks nice and crisp and I like the way the S appears over the grill work. Did you add a varnish or lacquer on top of the paint as well? I'm asking because at the moment I'm reading lots on painting and weathering to help me decide what to do with my Winter challenge Reefers so keen to understand what others are actually doing. Now I suppose your meant to "weather it" or is there a wash plant on the layout!! The painting was done largely with airbrush. Primer was applied straight out of the rattle can, as was the clear coat, prior to decals to give a smooth surface to apply them too. The handrails were done by brush painting. The SP is a decal by Microscale and came out well. I then sprayed on another layer of clear coat to protect them against damage. 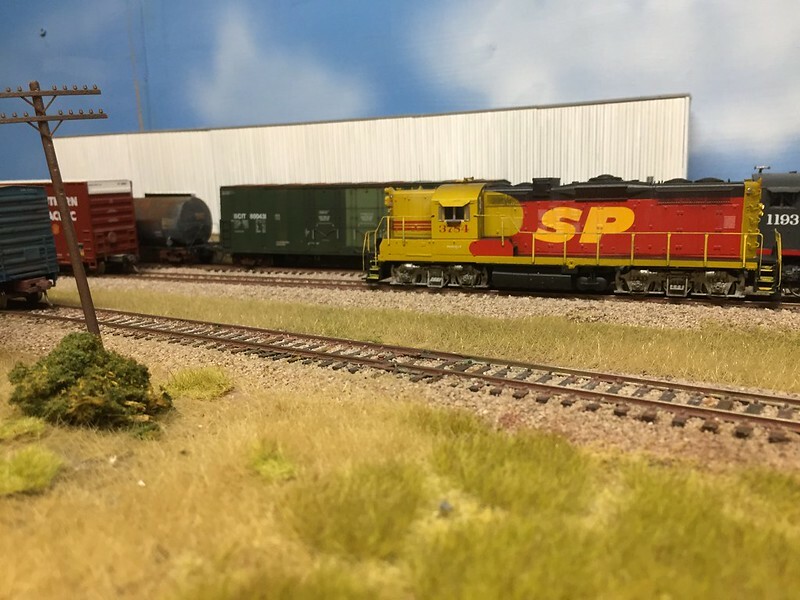 I have since started weathering the unit lightly, no wash plant on the layout This is the SP! 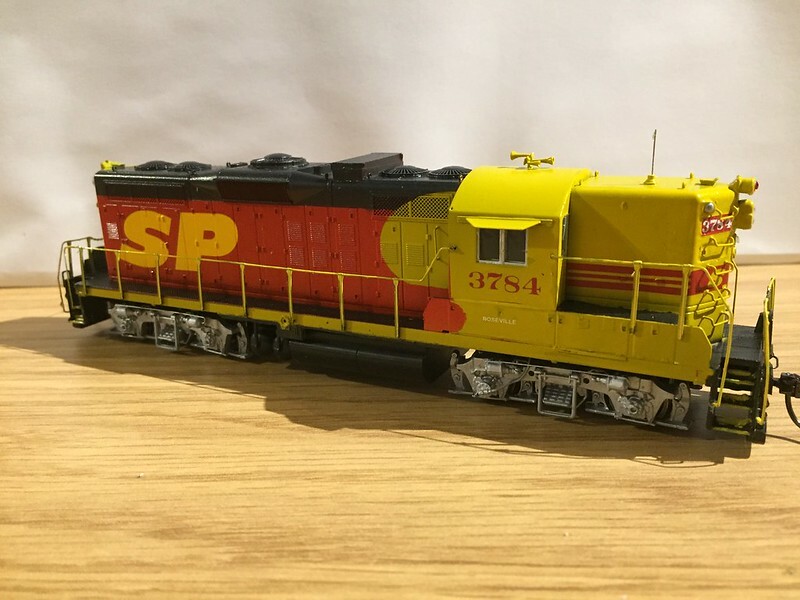 Here's SP 3784 on the layout, after I added the final details (wind deflectors, armrests, and replacement of the antenna by a hair instead of the original brass wire) and applied some weathering. More weathering to follow still..